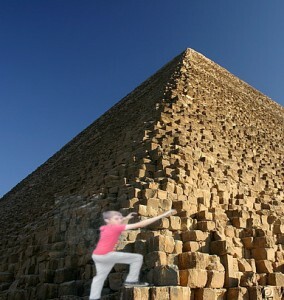 For the weekend I when to Egypt and tried to climb the Prymid of Giza. It took me 2hours and 20 minutes but i did it. It killed my legs and i sun burn on my nose. GOT YA. Actually we used chroma key, with is sometimes called green screen. We didn’t have a green screen so we used a blue screen.